Public Prayer vs. Private Prayer ; Why would God be more impressed and more likely to respond to a public prayer than to a private one? LISTENNOW! Greg, John, and Pat discuss a question that is being decided in the Supreme Court whether public prayer will be allowed. The question that is being asked is why would God be more impressed by a public prayer than a private prayer? FOX News is reporting that “The Supreme Court will hear arguments this week about prayers in public life, this latest deliberation revolving around a case from Greece, N.Y., and the recitation of prayers during town board meetings. The board used to begin each of its meetings with a moment of silence.” What has it come to that the Supreme Court who has equal power to the legislative branch and the executive branch will hear a case revolving prayer? They continue to discuss the question why would God be more impressed and more likely to respond to a public prayer than to a private one. They ask this of the church. Public prayer and a public stand for God often but not always points to what has already privately been prayed in our hearts. Jesus said that if we are ashamed of him that he will be ashamed of us before His father in heaven. This is just another sign of the humbling of a nation. Instead of bringing other issues before the court this is what Americans want to bring before the court. If you are ashamed to pray aloud you must be open to the idea you have not made Jesus the Lord of your life. That can change but you must first address what is a reality in your life so you can move forward in God. 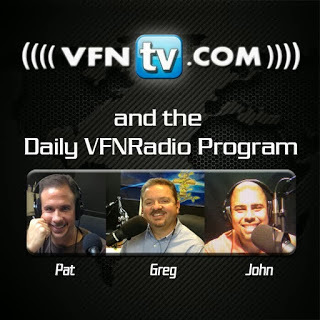 Greg, John, and Pat discuss God’s heavenly host and how there are more who are for you than those who are against you. They continue to discuss how the church has lost the revelation of the heavenly host that is always present. This became apparent to Elisha’s servant when all he could see was with his natural eyes. All he could see were those were against his master Elisha. Elisha prayed that God would allow him to see in the spirit so he can see the heavenly host around them. They continued to discuss how God shares things with his prophets. King Ahab could not find out why everything he was planning on doing Elisha already knew. God knows and sees everything and he shares what he knows with his prophets. God will reveal the strategies and plans of your enemies. Many today in the church declare that they know God but only 3% according to George Barna actually abide with God. Elisha’s servant could not see what God was doing in the spiritual realm with his natural eyes and neither can you. Those who are with those who are with God are always more than those who are against them. Look with your spiritual eyes and see the heavenly host. They further discussed and prayed that God would give you eyes to see.